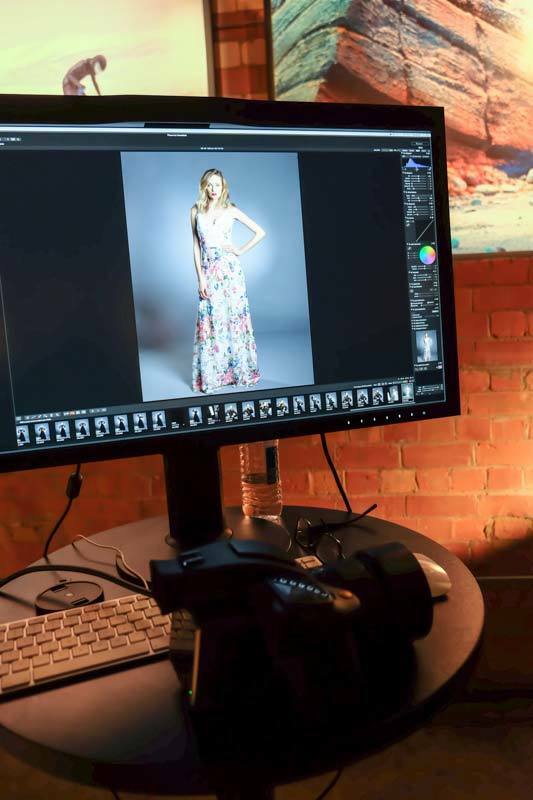 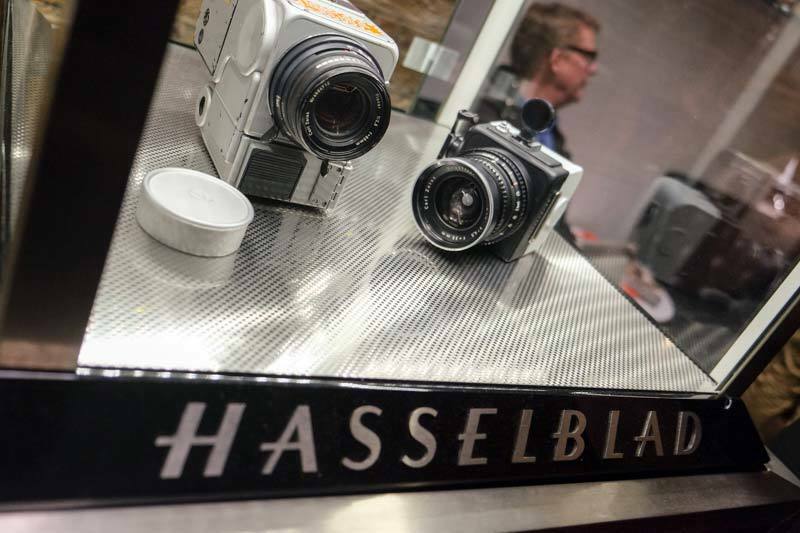 Hasselblad H6D Preview: The message from Hasselblad is "We’re back"
Photography Blog attended yesterday’s European launch of the new Hasselblad H6D medium format camera in London, upgrading the previous H4 and H5 models, and got to spend some time with, and take some exclusive hands on photos of, both the 50MP and 100MP versions – outwardly identical apart from their model numbers, but inwardly quite different. 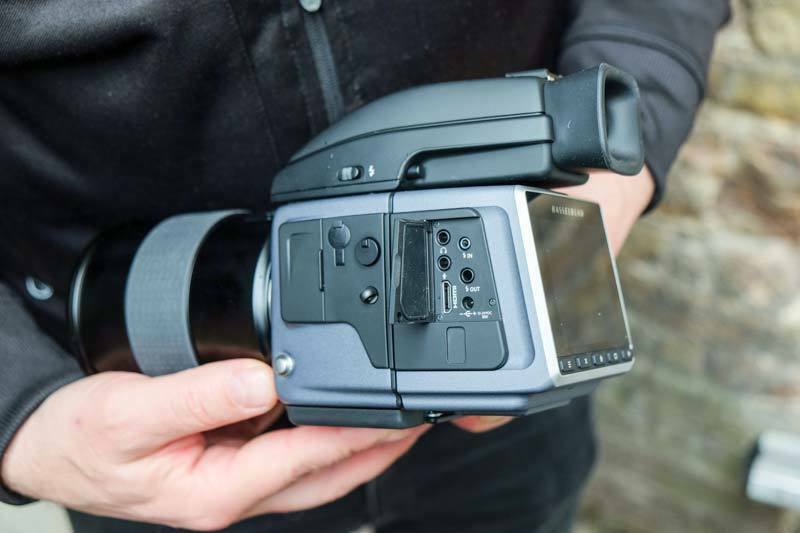 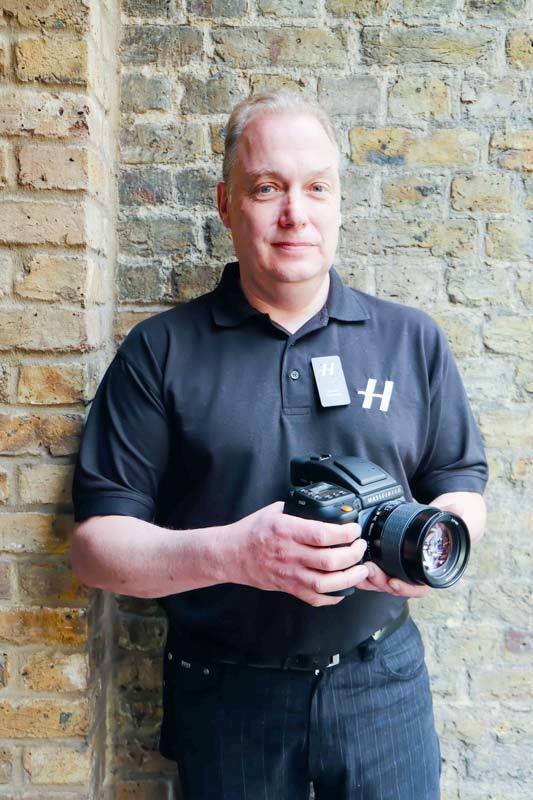 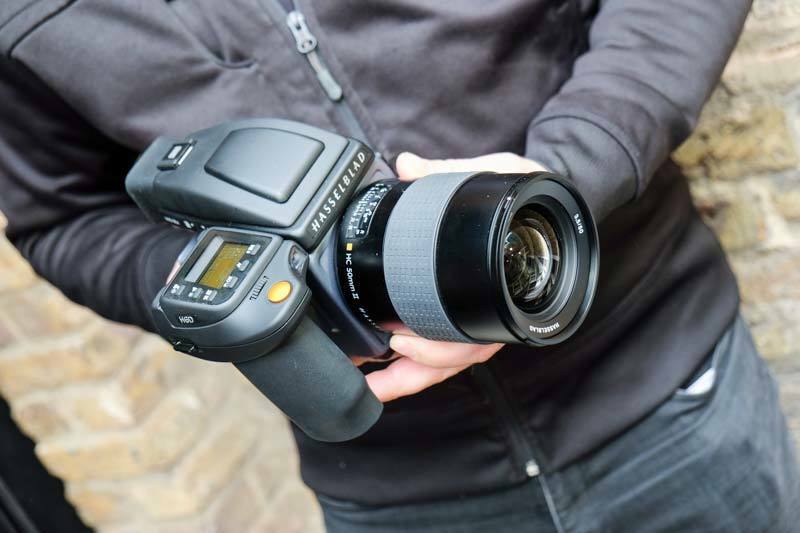 Perry handed over to Product Manager Ove Bengsston to run through the main bullet points, who continued the theme by adding that: “This is the best medium format camera that you can work with. 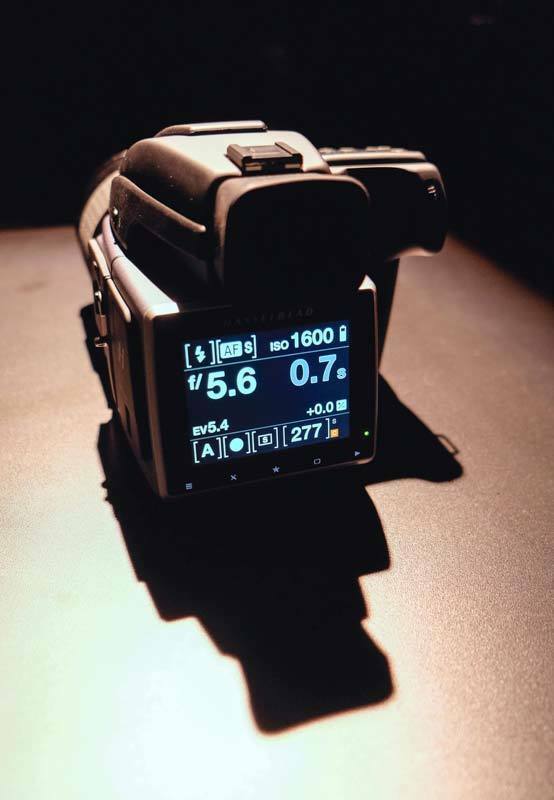 We’ve completely re-designed the heart of the camera to cope with 100MP files and 4K video. 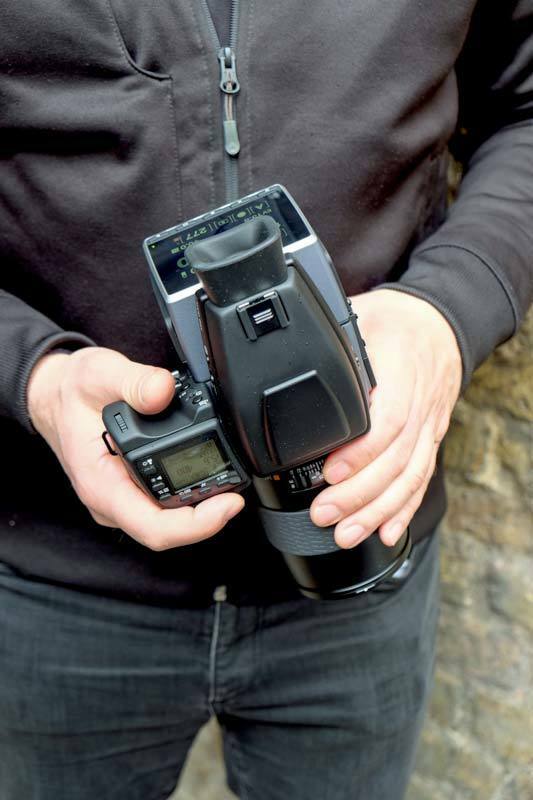 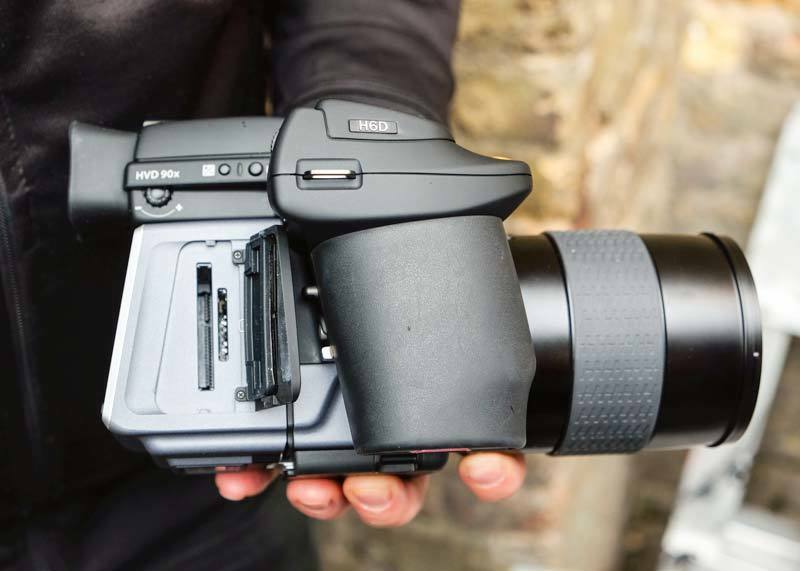 There’s also a new rear display plus dual storage options – with the CFast card slot providing speed and the additional SD card slot meaning that pictures can be saved to two cards at the same time, or JPEG files to one and Raw files to the other. 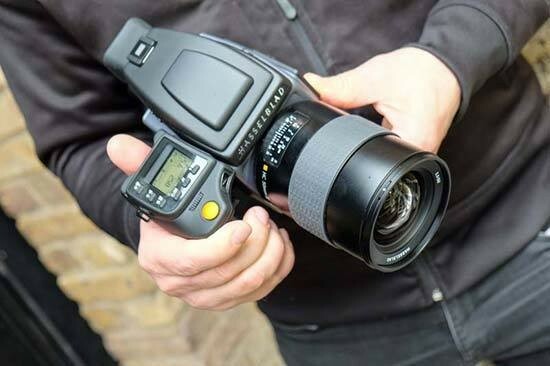 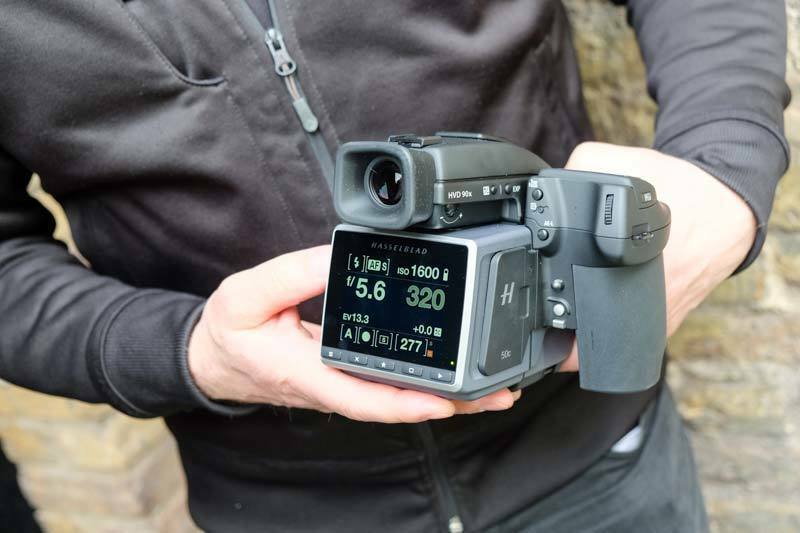 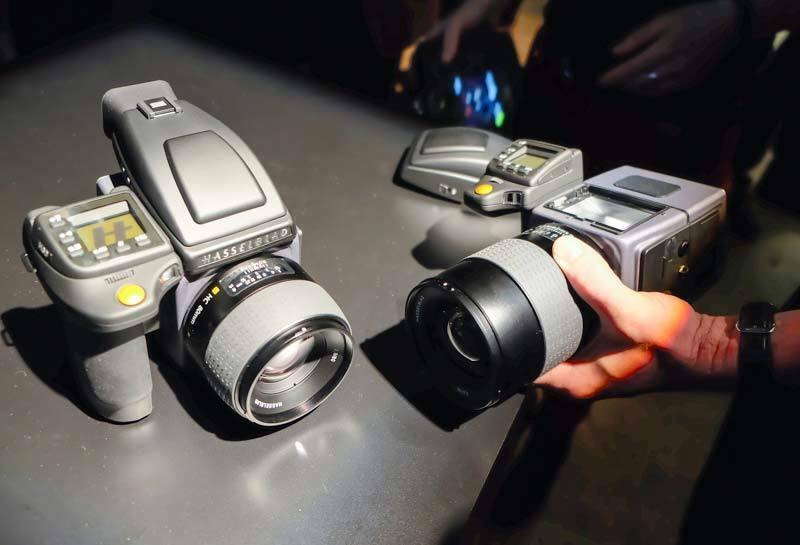 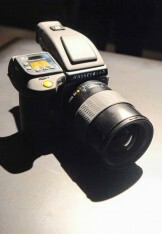 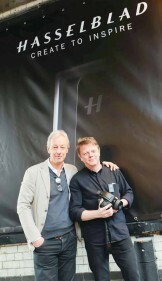 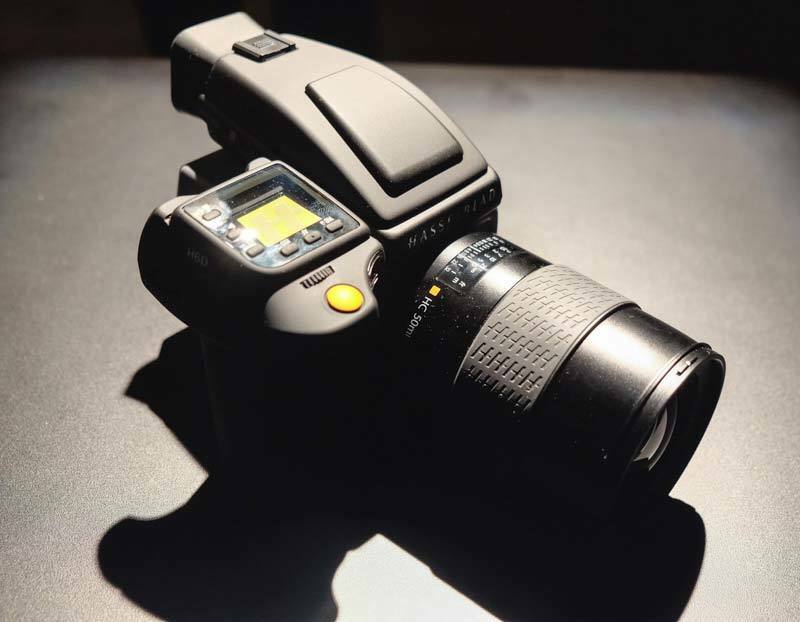 Hasselblad revealed that both the 50MP and 100MP sensor (the latter providing an ISO range from ISO64 to 12,800 with dynamic range, the company says, being close to 15 stops) were CMOS sensors from Sony, and that the intention to raise the pixel count to 100 megapixels had been on the roadmap for a while. 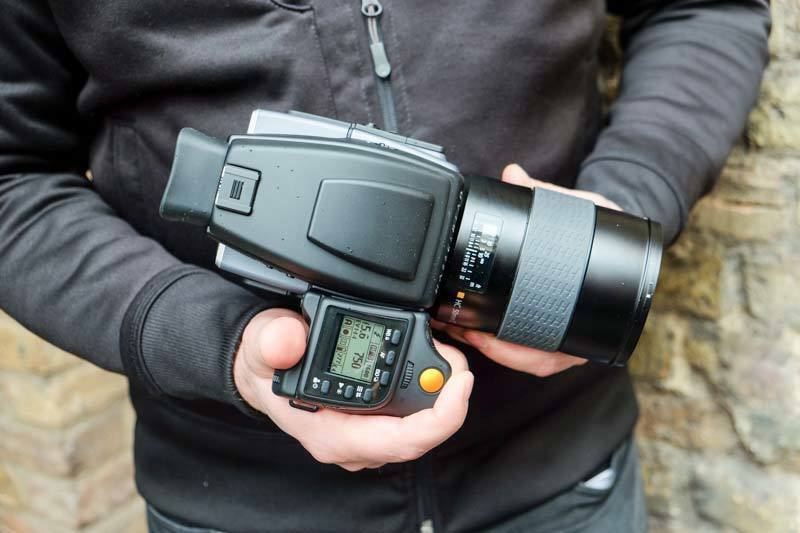 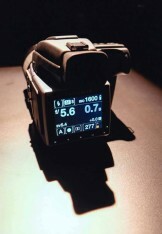 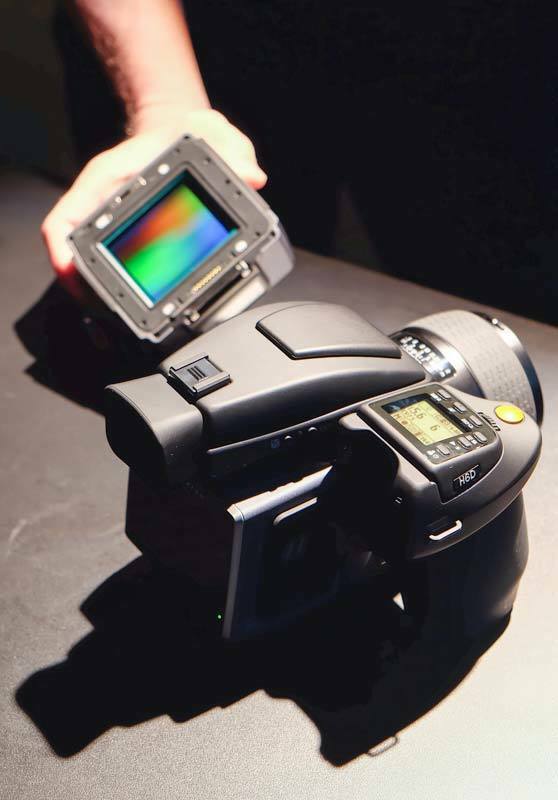 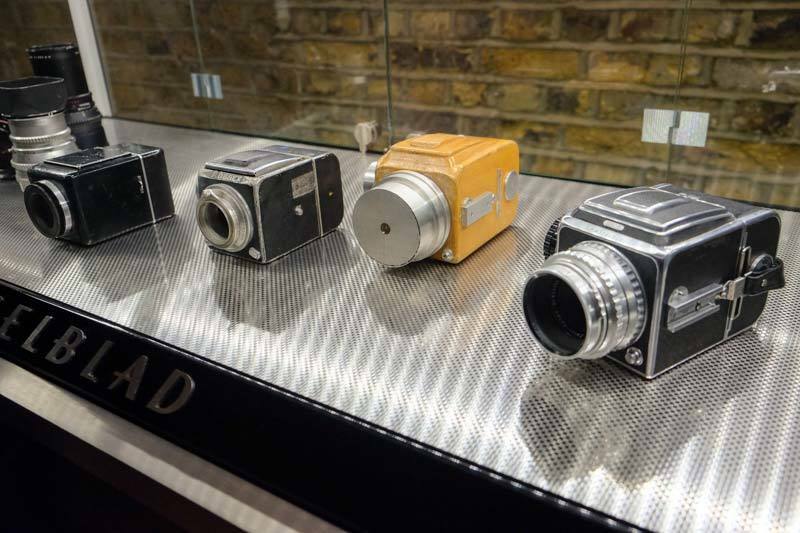 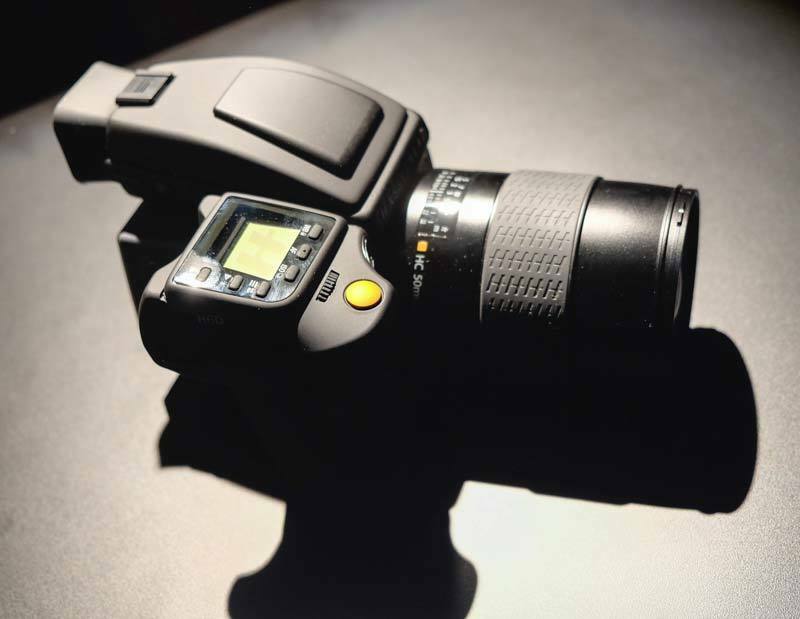 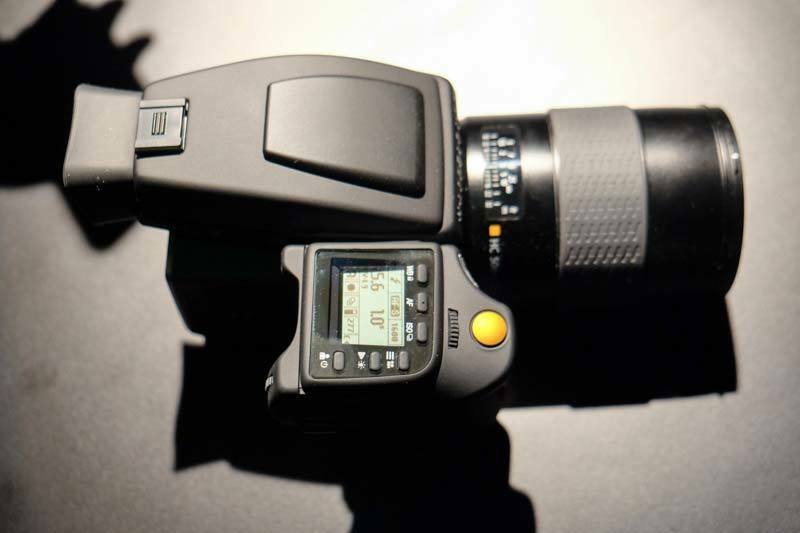 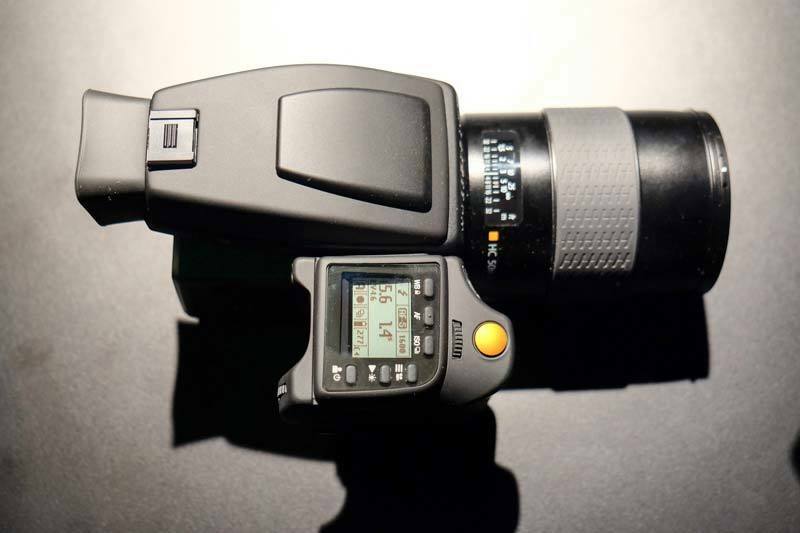 Ove added that such sensors had “transformed medium format cameras from being purely studio based. 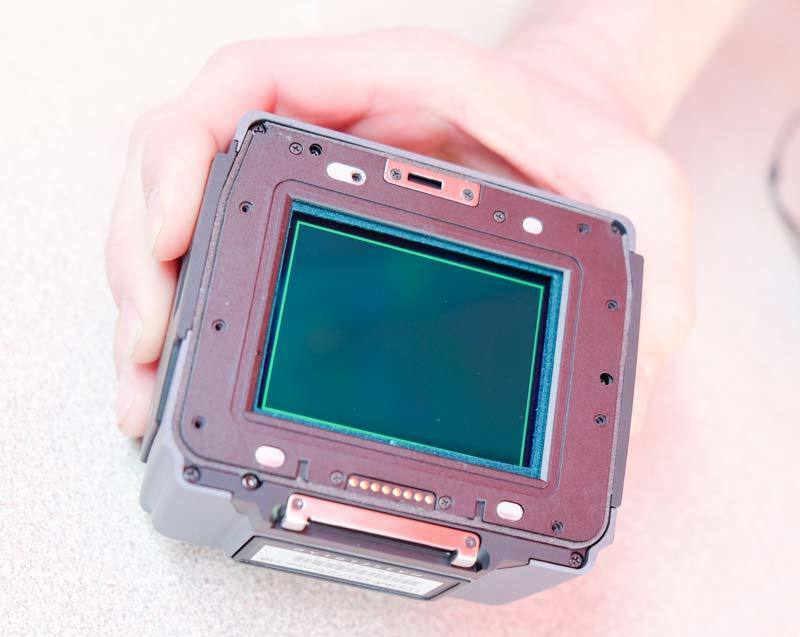 As you need to make super big prints to see any noise, you can use the camera for many things. Whilst there were no new lenses announced alongside the camera/s, Ove revealed that it already possessed a new range of lenses for an even better performance, with those optics featuring a small orange square promoting a better shutter performance. 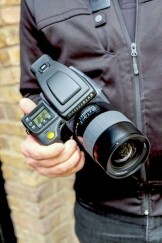 He added that shutter speeds of up to 1/2000 sec with full flash sync are achievable with the H6D. 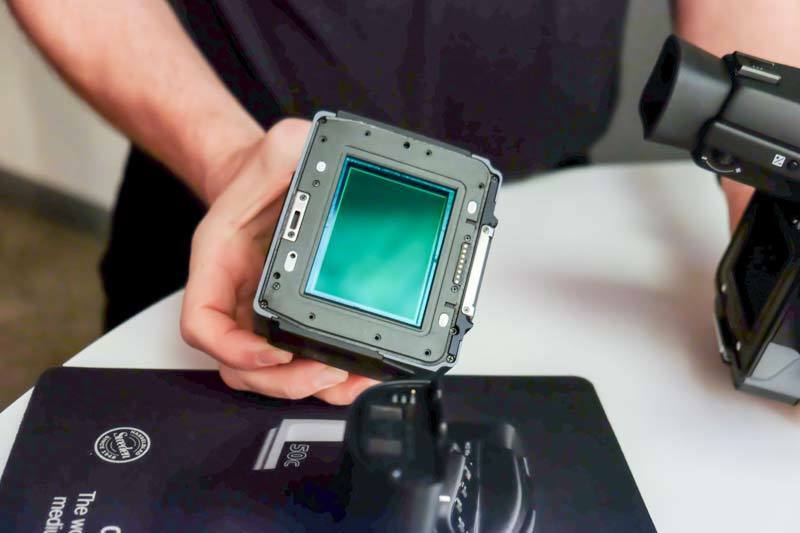 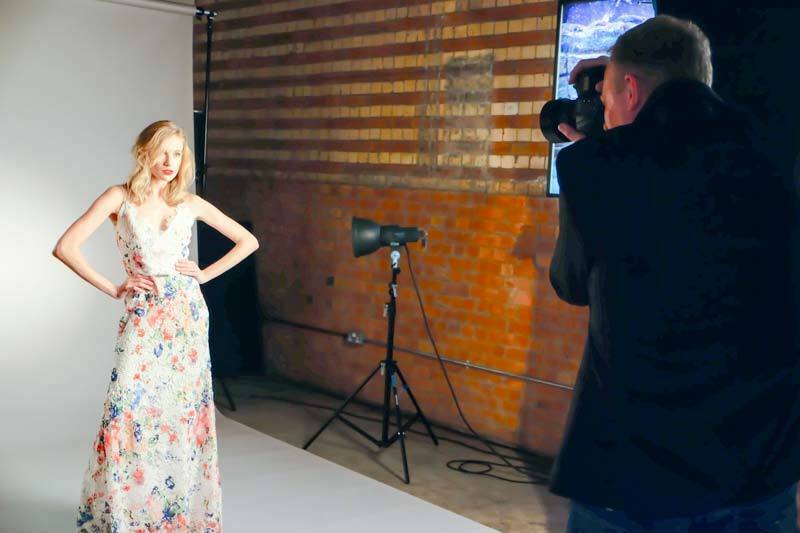 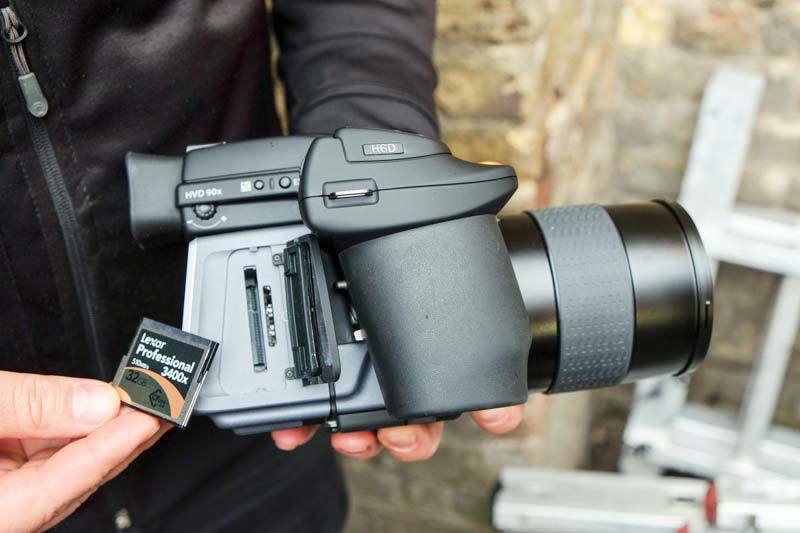 Video is obviously another area of increasing importance for working photographers – though obviously the large file sizes generated, and the processing power required, are major considerations for any manufacturer. 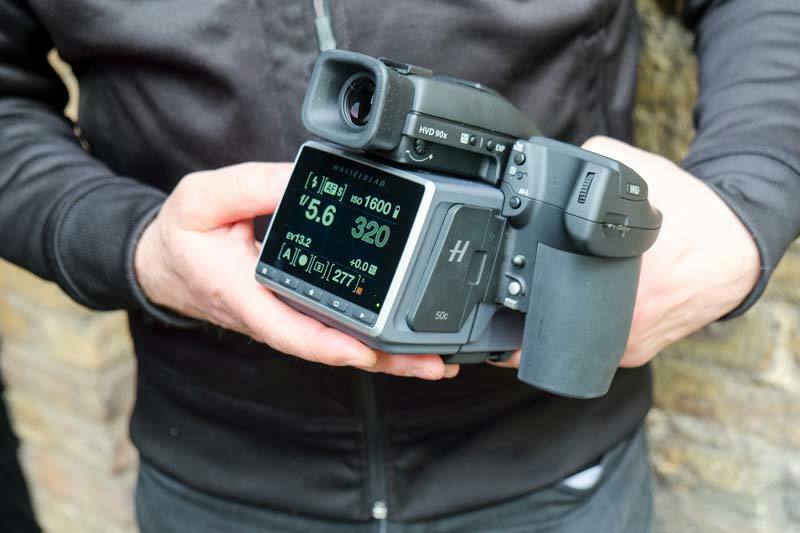 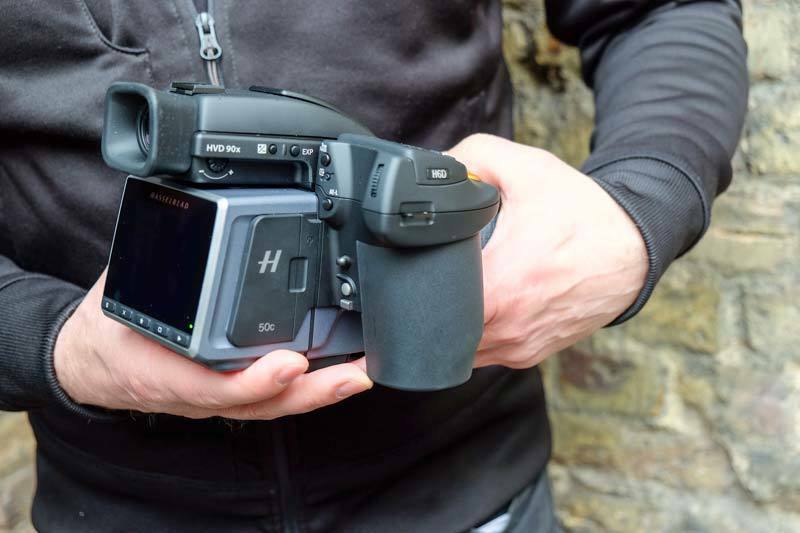 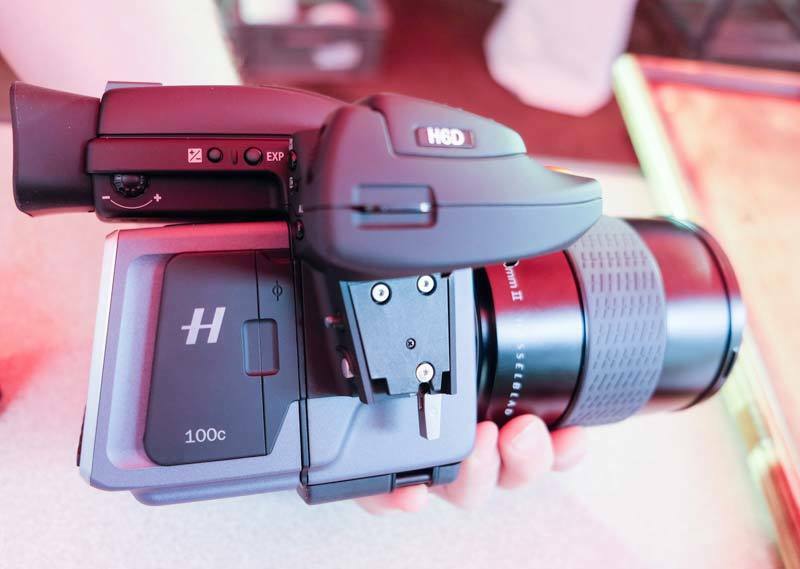 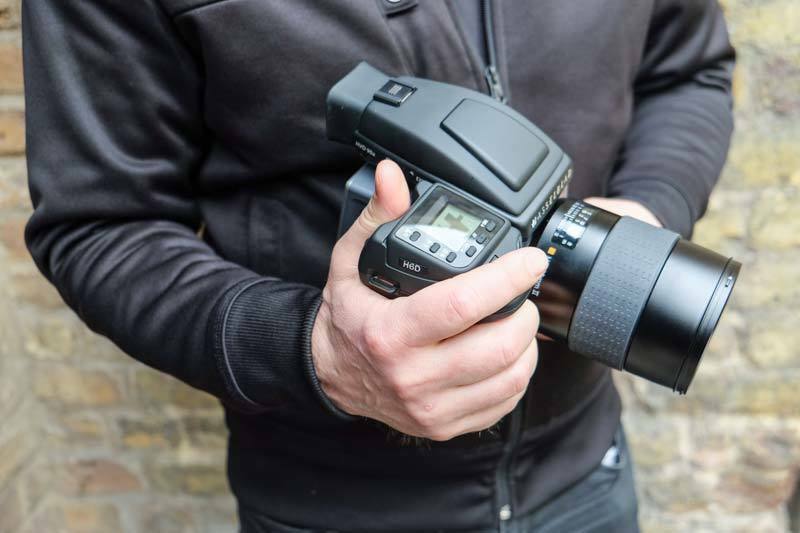 The 50MP version of the H6D boasts Full HD video capability at 25fps according to Ove, whilst the larger 100MP offers users 4K video. 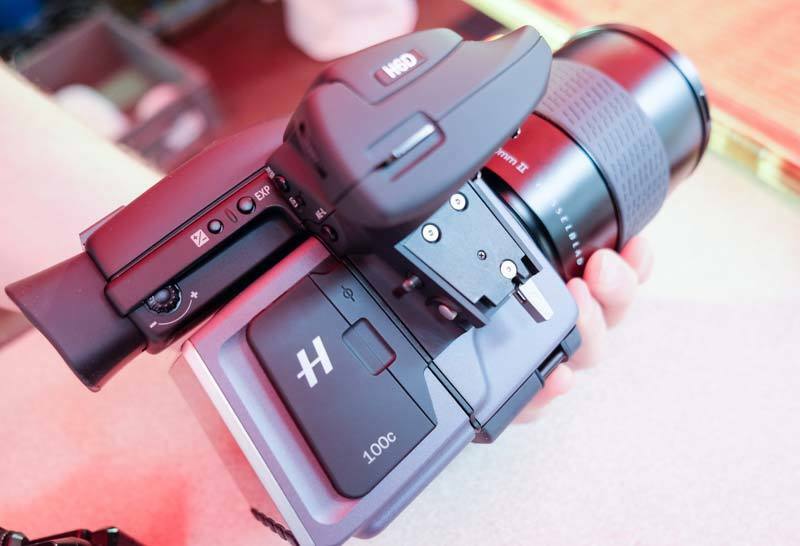 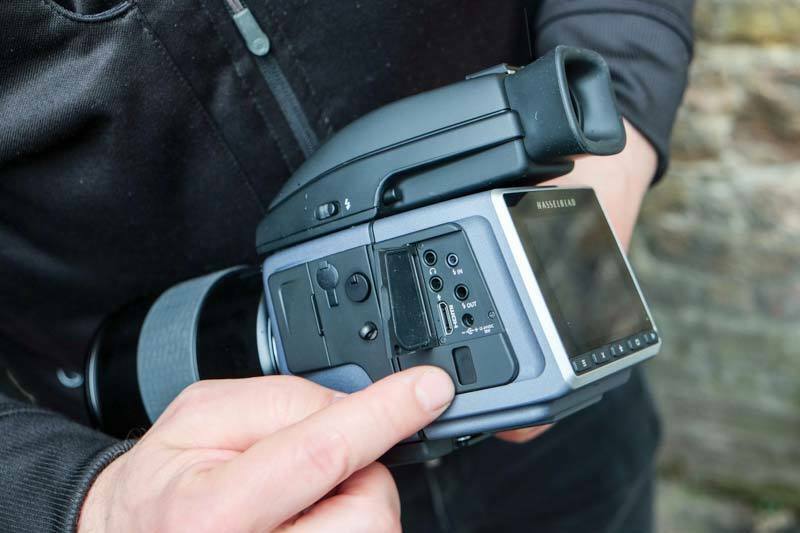 Here Hasselblad have added an HDMI port for an external monitor. 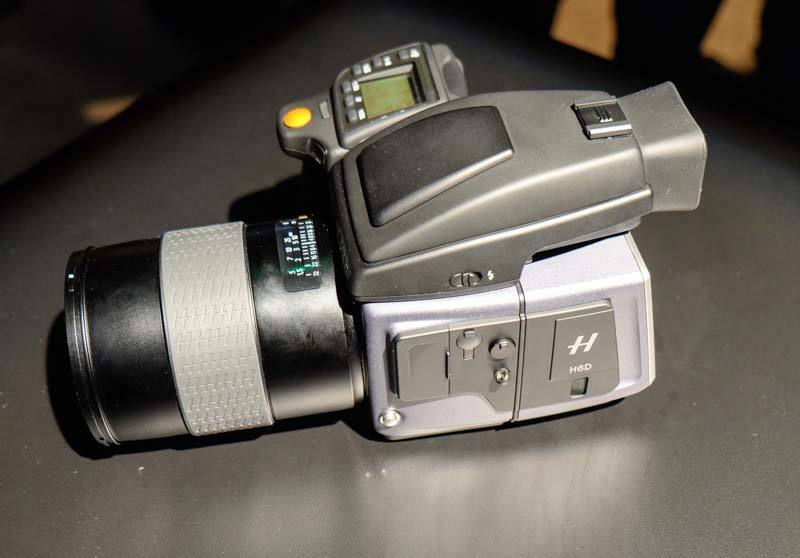 “It also doesn’t have an internal microphone, so we have provided the ability to add an external microphone,” he told Photography Blog.